Editor’s Note: In this edition of From The Archives, we re-visit one of my Weekly Downloads columns originally posted on Twin Galaxies International in August of 2010. Due to circumstances beyond my control, this is one of many contributions lost in the website’s most recent upgrade. Note: I added a few interactive elements (like embedded videos, pictures etc.) that could not be implemented by TGI at the time. In this edition of Your Weekly Downloads, a PSN favorite comes to the X-Box Live Arcade, the revenge genre gets a new 2-D anti-hero and Nintendo receives a psychedelic boost to their online library with an Austrian-made WiiWare release. Here’s the newest DLC coming to your favorite gaming consoles this week. And Yet It Moves (Broken Rules, 1 player, 1,000 Wii Points, August 23): And Yet It Moves, created by a group of college students attending the Vienna Institute of Technology, throws gamers into a world where they are the focal point of play. 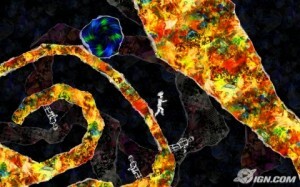 When players jump, run and slide through the colorful 2-D paper collage backgrounds, the world around them is stationary. But once they rotate the background in an attempt to avoid pitfalls and traverse obstacles, all objects – – like that giant boulder that’s rumbling behind you – – freeze until the rotation stops. Once the player finishes his rotation, everything around them returns to its original speed and the game moves on. Mastering this shifting landscapes ability allows players to advance through the game’s 17 puzzle-filled levels with relative ease. Shank (Electronic Arts/Kiel Entertainment, 1-2 players, August 24 on PSN/August 25 on X-Box Live, 1200 Microsoft Points, $14.99 on PSN):Created in an animation style similar to Cartoon Network’s hit show The Venture Bros., the game chronicles the story of Shank, a deadly mercenary who is betrayed by his former criminal partners – – and is now seeking revenge against them. Shoot, stab, chainsaw and melee your way through numerous levels of increasing difficulty as you help Shank achieve his ultimate goal. With its uniquely intuitive combat system, players unleash a tremendous number of creative combinations in a 2-D scroller environment as they take down enemies and bosses that stand in their way. 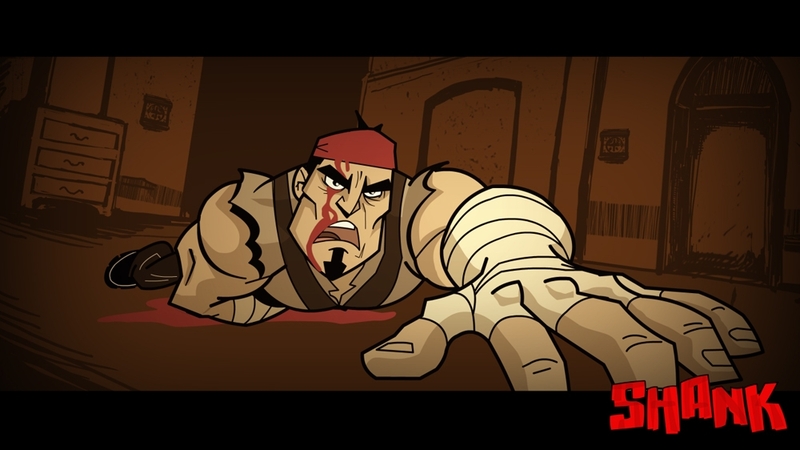 Shank also features a special co-operative prequel mission which is designed to tell the back-story behind Shank’s betrayal as he battles enemies along side his partner Falcone. Scott Pilgrim vs. The World (Ubisoft, 4 players, August 25th, 800 Microsoft Points): This movie tie-in release, which hit the PlayStation Network two weeks ago, allows gamers to dive into the comic book based world of Scott Pilgrim, a 22-year old bass guitarist who battles for the honor of his true love Ramona by defeating her seven evil ex-boyfriends. Fight for your life in 8-bit, side-scrolling, beat-em-up mayhem created by renowned video game artist Paul Roberston with up to four of your friends.